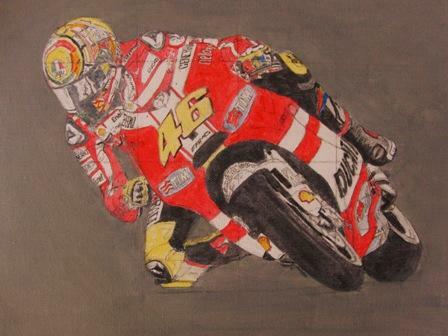 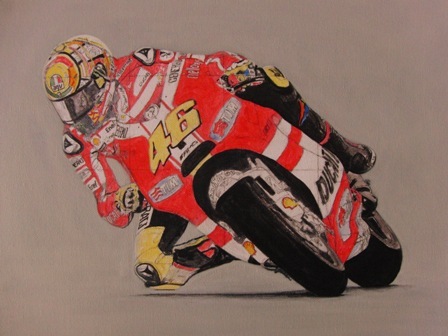 Valentino Rossi on a Ducati in 2011 – done in about 6 weeks – my quickest acrylic on canvas to date!! 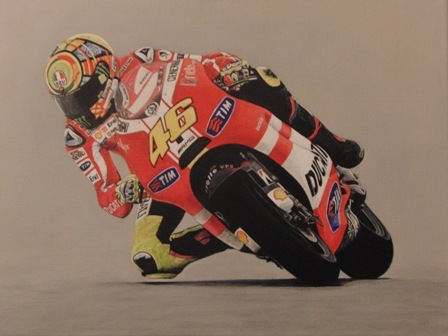 Can be found hanging on our living room wall. 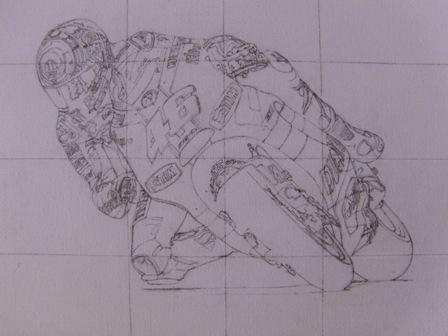 Below are some of the work in progress.